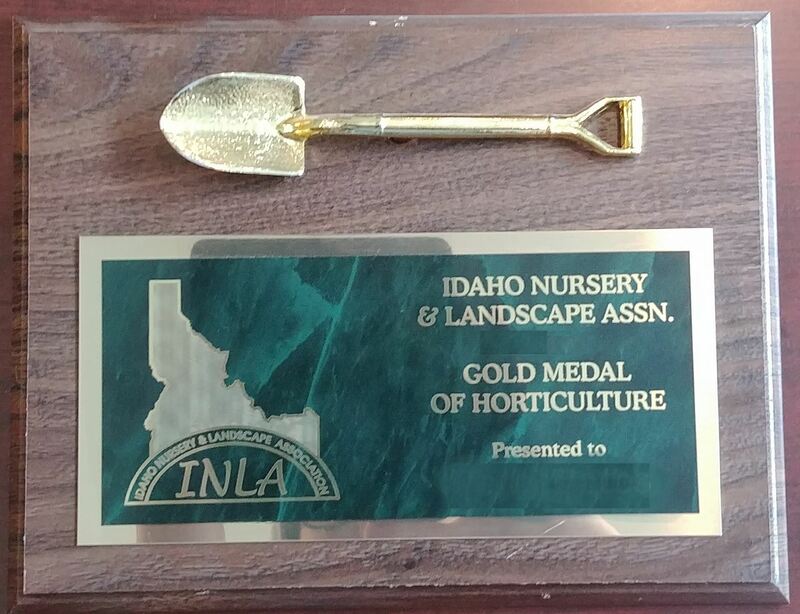 The Gold Medal of Horticulture is a prestigious award given to deserving individuals in the horticulture industry of Idaho. In their lifetime they have generously and selflessly contributed to horticulture in Idaho. All facets of the field are equally considered (i.e. educators, growers, retailers, suppliers, maintenance contractors, landscape contractors, etc.) for this award. Winners are chosen by a majority vote of the INLA Board of Directors. Gold Medal of Horticulture winners are given an honorary individual membership in the INLA for life. This annual award recognizes the community who organizes the best Arbor Day celebration, utilizing the $300 Arbor Day Grant they receive from the INLA. Criteria used to determine the winner of the award are: (1) the dollar amount leveraged with the grant funds, (2) uniqueness of the Arbor Day celebration, and (3) support of local volunteers. 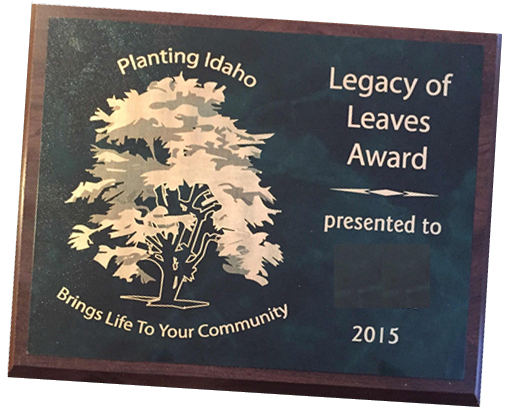 The award is named the "Legacy of Leaves" to recognize the contribution that trees make to the communities in which they are planted.